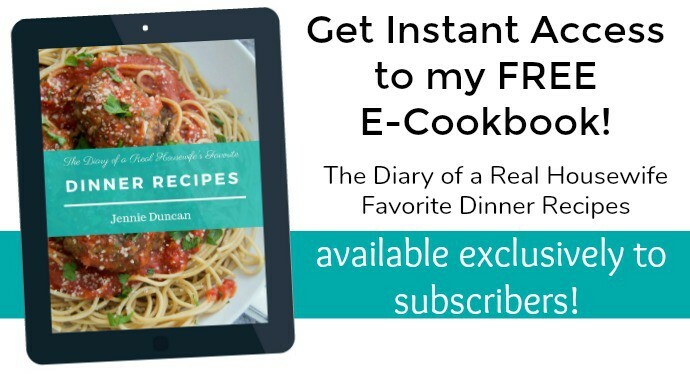 Easy to make and a recipe the kids will love. 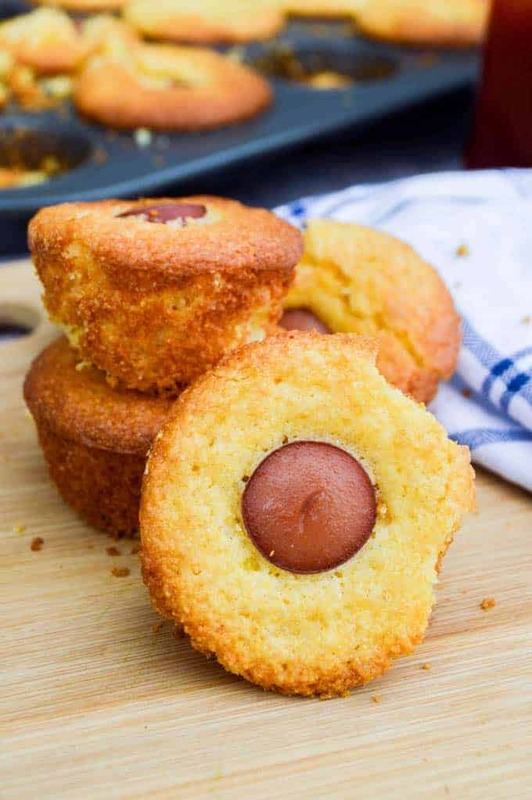 These Muffin Tin Corn Dogs make the perfect quick lunch recipe. I serve mine served with ketchup for dipping. When you are ready to start cooking preheat oven to 400 degrees. Prepare a mini muffin tin with non stick cooking spray and set aside. Whisk together corn bread mix with eggs and milk until smooth. What you use and the cooking time and temperature could be different. It depend on what brand you are using so make sure to check the box mix and use the measurement they call for. When it’s ready fill your prepared muffin tin 3/4 way full with your corn bread mix. 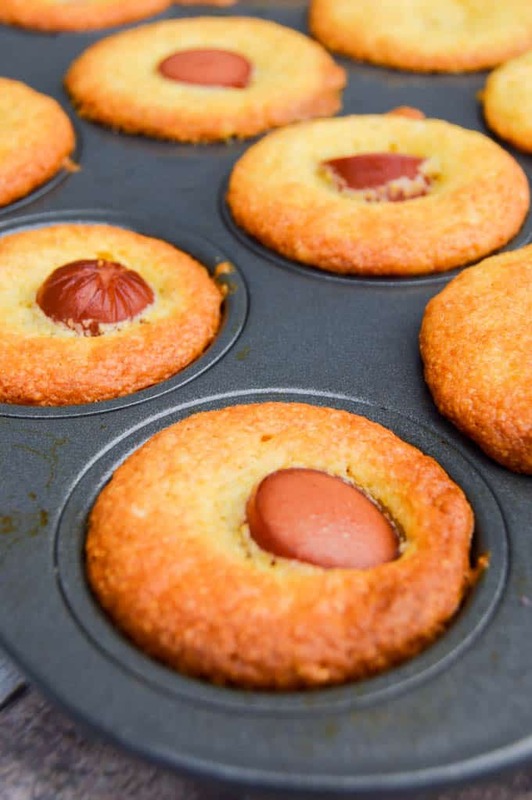 Add diced hot dogs to each muffin. Bake for 8-10 minutes or until muffin dough is cooked and a toothpick could come out clean. Preheat oven to 400 degrees. Prepare a mini muffin tin with non stick cooking spray and set aside. Fill your prepared muffin tin 3/4 way full with your corn bread mix. Add diced hot dogs to each muffin. Bake for 8-10 minutes or until muffin dough is cooked and a toothpick could come out clean. We’ve made these before, loved them 🙂 I used the Jif mix, it’s our fave. P.S> did you enter my new giveaway yet?